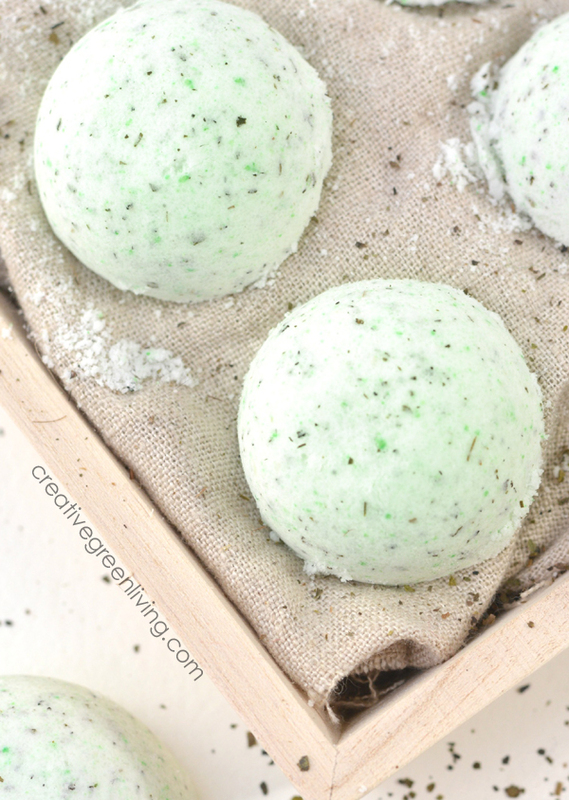 This recipe makes four medium sized bath bombs - so make one now and save three for later or share with a friend! 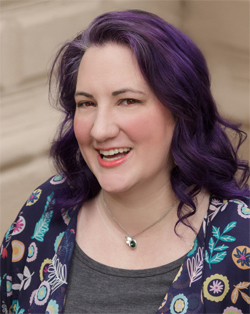 Don't want four bath bombs? You can always cut the recipe in half so you'll just have two. 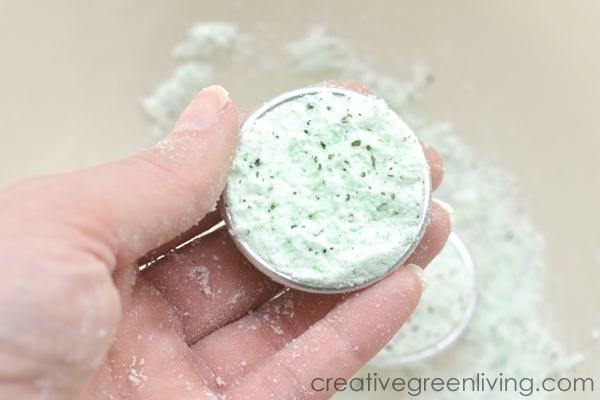 Bath bomb molds come in different sizes, too, so if you want smaller bath bombs, this recipe will stretch further. Bath bombs make great gifts. Since they are consumable, they don't cause clutter and you treat your recipient to a nice, relaxing experience. Looking for more great bath bomb recipes? 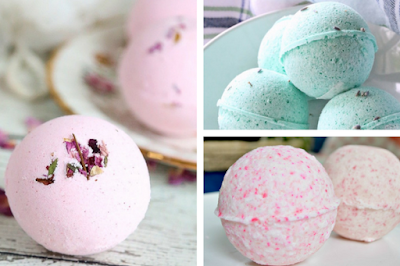 Check out our collection of the best DIY bath bomb recipes you can make at home! 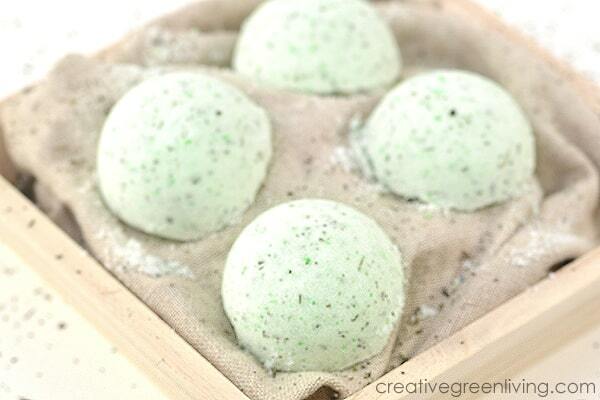 Ready to get started making these awesome bath bombs? Let's go! 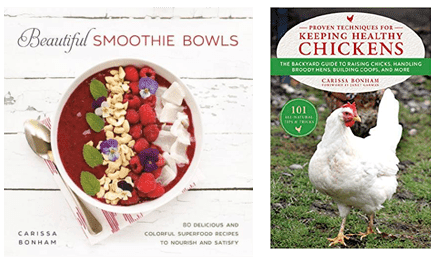 If you don't already have Amazon Prime to get free shipping, you can try a one month free trial here! 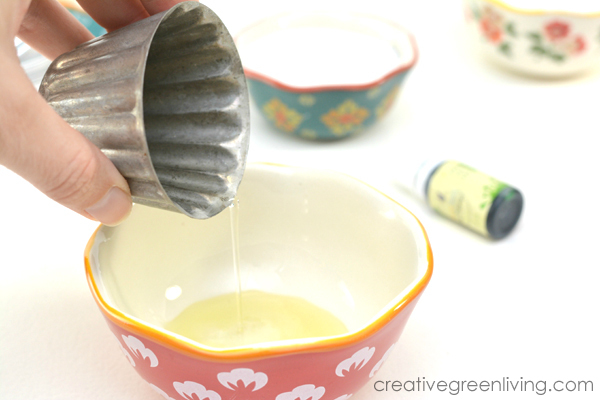 Mix 2 teaspoons avocado oil, 1 Tablespoon grapeseed oil, and essential oils together in a small bowl. Add a few drops of green soap colorant. Keep in mind that the final color will be lighter than it appears in this bowl. Start with a few drops and if you want it darker later, I'll show you where you can add more! 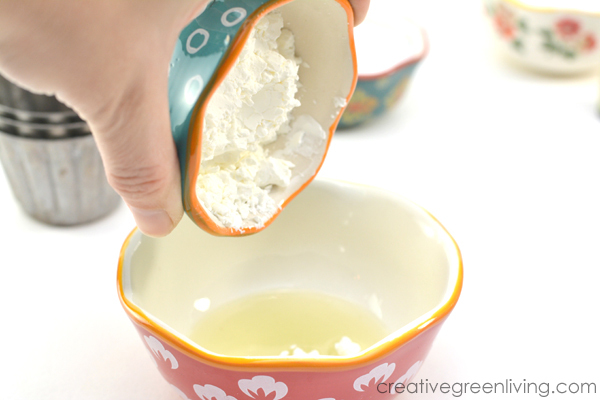 Mix 1/4 cup plus 2 Tablespoons cornstarch into the oil mixture until it forms a well blended thick paste. 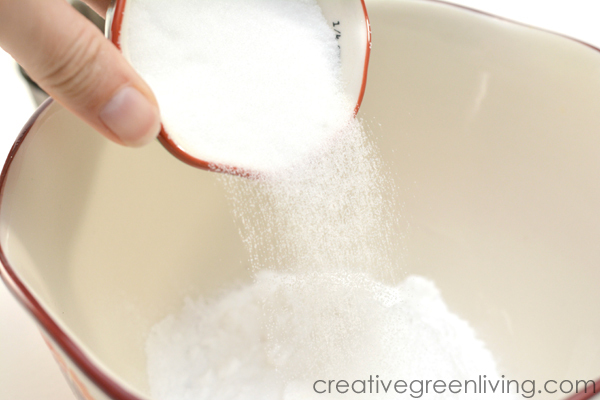 In a separate bowl, combine 2/3 cup baking soda, 1/2 cup citric acid and either the contents of 2 green tea bags OR 2 tsp matcha powder. Slowly add the wet paste mixture to the bowl with the dry mixture. The fastest way to do this is with your hands but a spoon works as well (it just might take longer!). If you want to make the mixture more green, now is the time to do it. 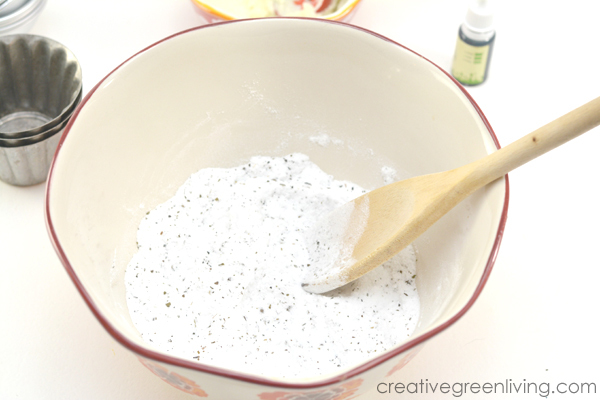 If desired, add 1-2 drops of soap colorant at a time, mixing it in completely before adding more. Press the mixture into two different halves of a bath bomb mold and then squish the halves together. 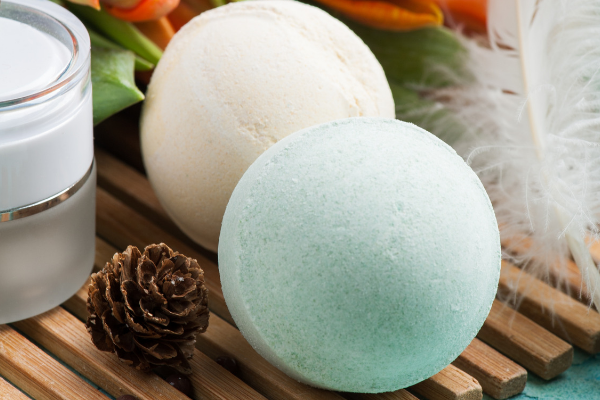 Take the bath bombs out and let dry for at least five hours before wrapping or using. To use your bath bomb, simply drop it into hot or warm bath water and watch it fizz and release the relaxing goodness of the green tea and essential oils. 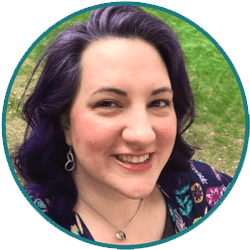 Just because you make your own personal care products, doesn't mean that you might not be allergic to the ingredients. If you are allergic to any of the ingredients in these bath bombs, don't use them! If you ever experience skin discomfort when using a bath bomb product, discontinue use right away and seek medical attention if necessary. You can make these with or without the green dye! Learn how to make Lush bath bombs at home with this ultra moisturizing avocado bath bomb recipe like the AvoBath at Lush. 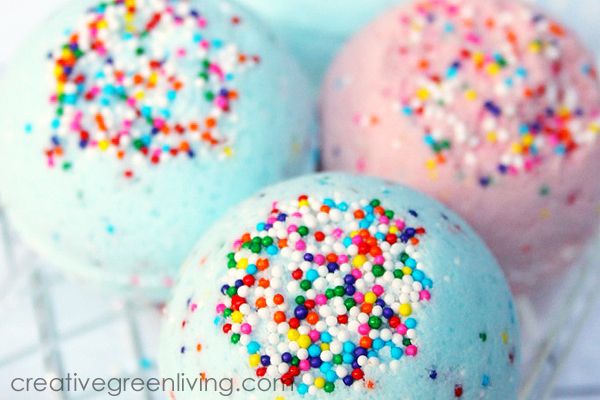 This easy bath bomb recipe is super simple and includes the surprise of finding a toy inside! 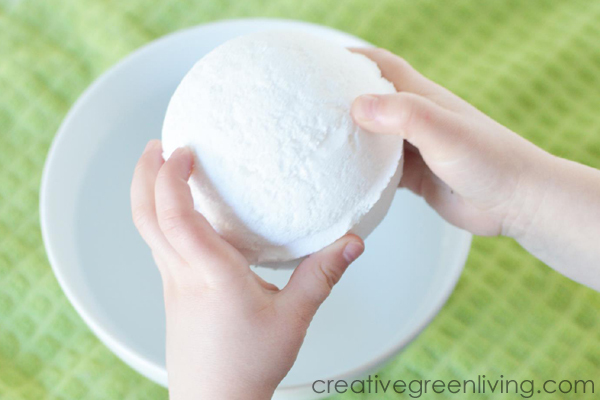 This is the best bath bomb recipe for kids. 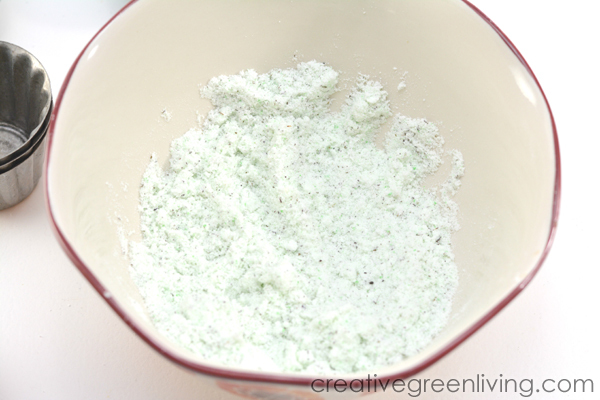 Just a thought for natural green color instead of a dye would be spirulina powder or a greens powder.